Thank you for donating for the cause . Sanjana Didi is now trained and ready to set up her cart. She is ready to start the work and earn her own bread now. 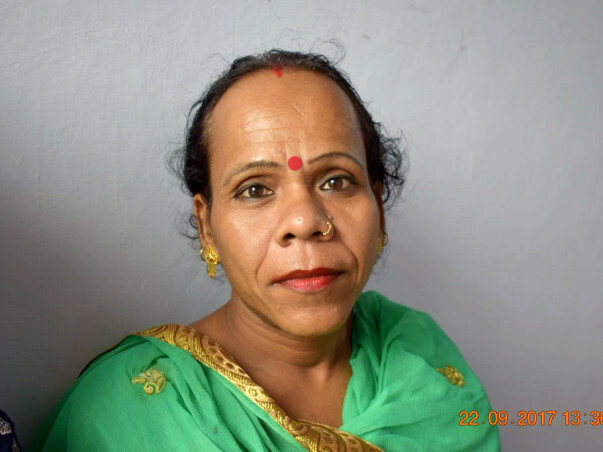 Babli, the transgender had finally made it. She got a job in High Court in Delhi and is earning good income now. 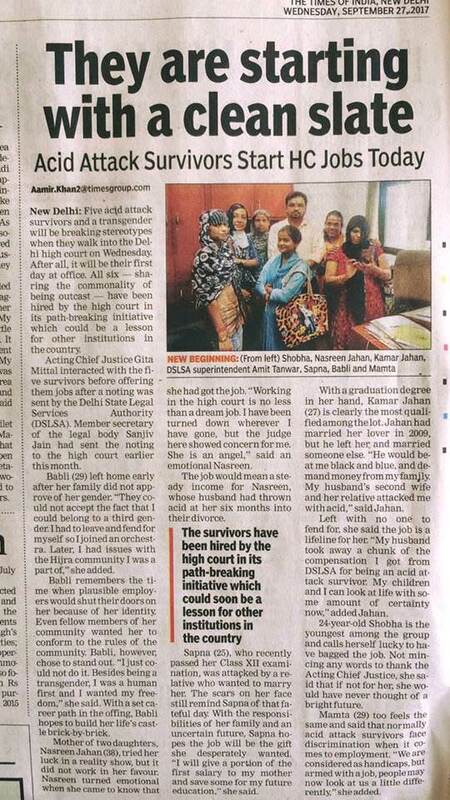 Along with 5 acid victim survivors, she is enjoying this job. 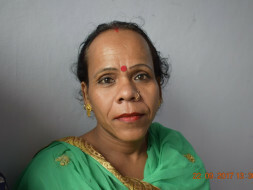 Pahal helped her in establishing her identity and now she is doing a reputed job leaving her old work behind. Pahal wishes her a bright future ahead. With your best wishes, we had finalized a canteen space in one of the universities in Delhi. Very soon I'll be sending you the inaugural dates and venue where we are going to make 4 Transgender as entrepreneurs leaving their miserable work completely. Keep on helping. Thank you.